Lawlexis International offers consulting and digital solutions to lawyers, law firms, individuals and organizations in the public space. We believe the online and social media brand of a law firm should reflect the towering image it imposes in the hearts and minds of clients and colleagues. 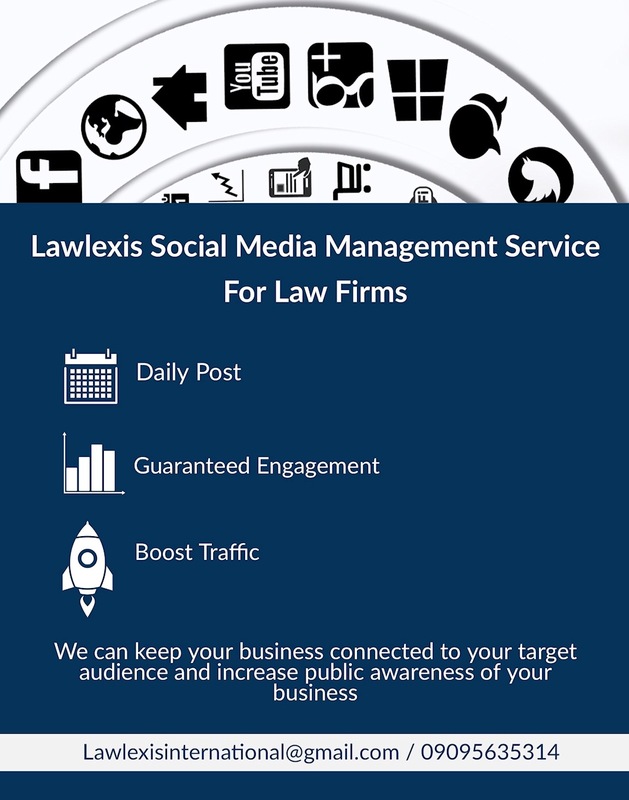 We offer to help you craft, plan and execute a social media strategy that will engage the public appropriately and seek to build your law firms' digital footprint. As trained lawyers we understand the intricacies in the use of media for lawyers and the accepted mode of engagement for law firms. Let us help you achieve your social media goals. What is the law on street trading in Lagos State?